Israeli producer Yotam Avni is back with a fresh cut of uplifting, inspirational dance-floor music, along the same lines as some of the killer cuts he's produced for the likes of Robsoul, Be As One and Osunlade's Yoruba records imprint. Weaving elements of Detroit techno, jacking Chicago house and deep atmospheres, Yotam Avni's productions - either under his own name or pseudonyms - Avadon and Jersey Real Estate - are guaranteed to keep the midnight oil burning, no matter the crowd. It's with this reputation that Ovum Recordings welcomes the passionate producer to it's ever-swelling ranks. 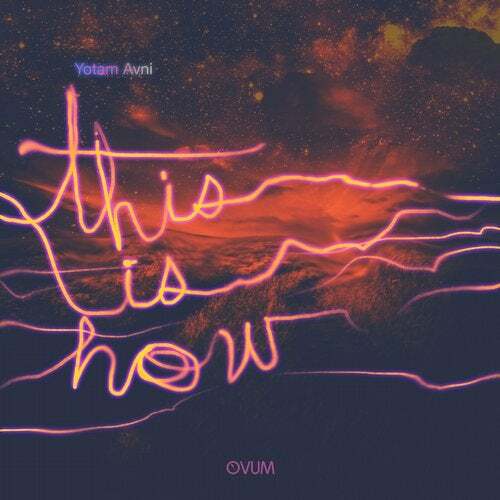 Yotam's debut for Ovum Recordings is of the same quality and ilk that weve come to expect. The title track's original mix is proud and uptight, bursting in with a clipped but swollen kick drum, fat around the edges and deep in it's descent, before a vocal snippet chimes in through a mesh of bass gradually stomping its way into earshot with a gentle canter before those bass tones become a full on wobble and the driving rhythm to the track is notched up on the break, mixing Yotam's trademark uplifting house with galvanized, toughened techno beats. On the remix we welcome the Dutch bastion of techno Mr. Steve Rachmad, who delivers a superb rework under his darker and deeper Sterac alias. Jacking, rolling and pumping, his remix focuses on the filters. Dry flanges, acid stabs and filtered analogue synths sit atop a frenetic hi hat for a bass-less but high impact smasher. Closing the EP is the intriguingly titled Bbbooy Skat, that runs with a hypnotic, wavering acid synth lines and muted, clipped kick drums - reminiscent of his live looping techniques when Djing - before igniting into progressively building techno roller, adding elements of percussion atmosphere and melody, never once shifting focus from that hypno-top line. A subdued but effective midnight roller that offers an endless conclusion to another triumphant set from the Ovum Recordings crew. Huge Support from: Marcel Dettmann, Dubfire, Martinez Brothers, Mano Le Tough, Adam Beyer, Kolsch, B Traits,Danny Tenaglia, Rolando, Doc Martin, Blawan, and more!!! !